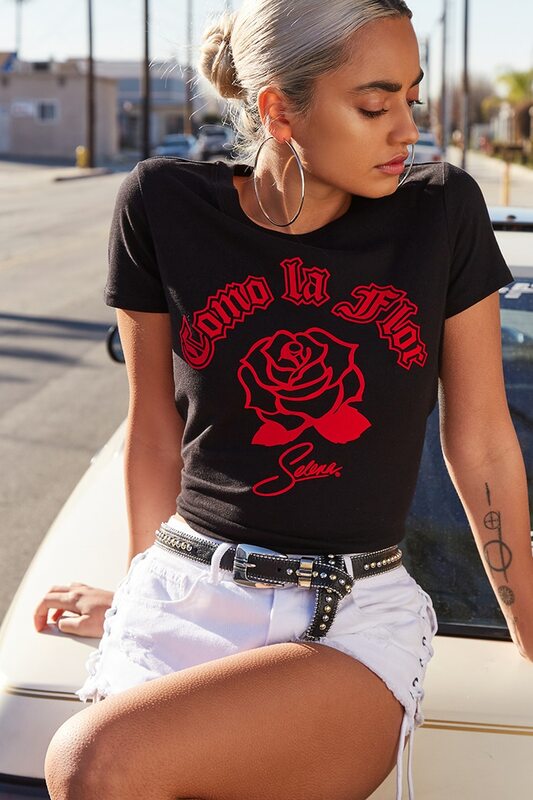 Stand out in a black tee featuring Selena’s famous song in red gothic font. 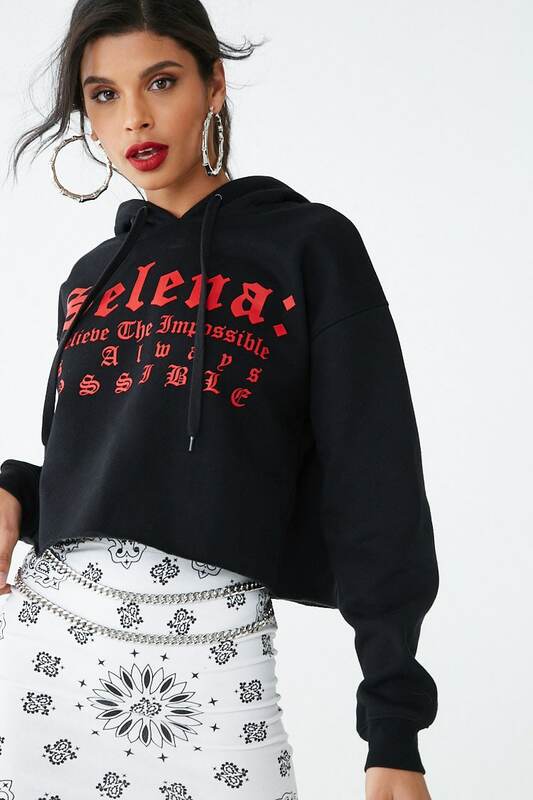 Just in time for the 22nd anniversary of the ‘Selena’ film, Forever 21 unveils a collection inspired by the late Selena Quintanilla-Perez. The design team joined forces with the singer’s sister Suzette Quintanilla on pieces. Sizes start at small and go up to 3X. The collaboration is called The White Rose Collection with sweatshirts, joggers, graphic tees and crop tops. See our picks from the range below, and shop more at Forever21.com. 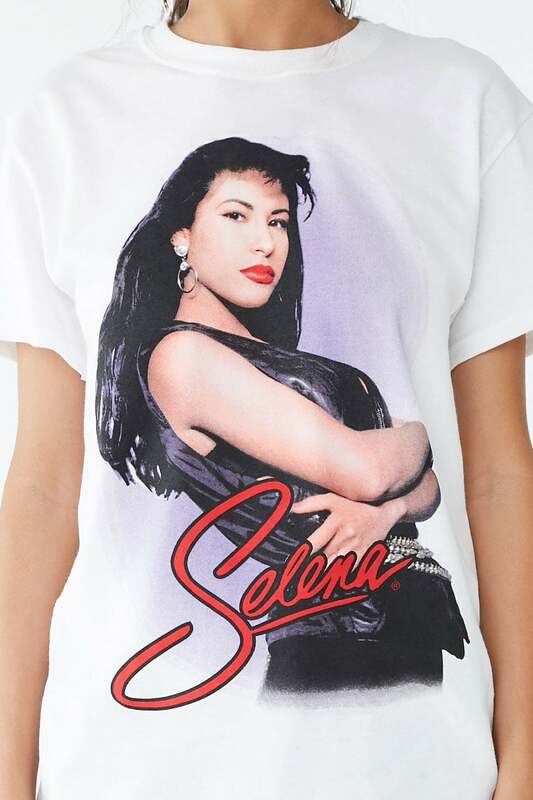 A collage of Selena pictures makes this knit tee perfect for any occasion. 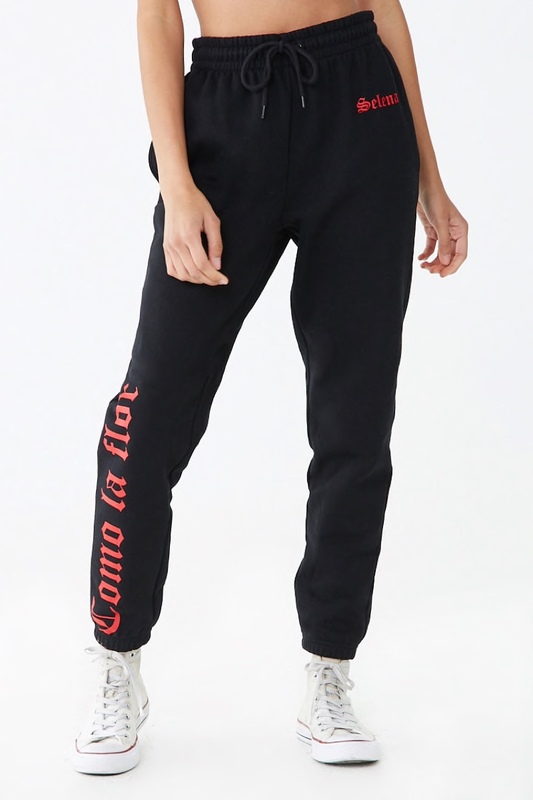 Cover up in style with a cropped sweatshirt featuring red lettering. 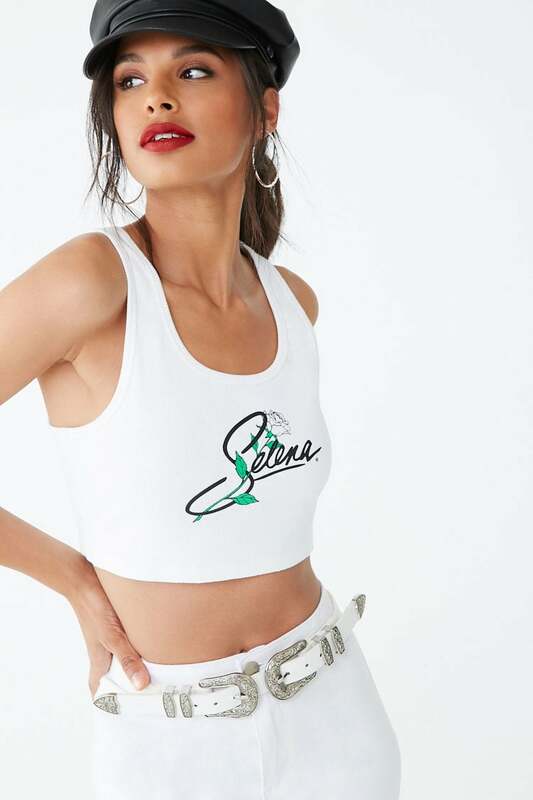 Flaunt your midsection in a white tank with a white rose. 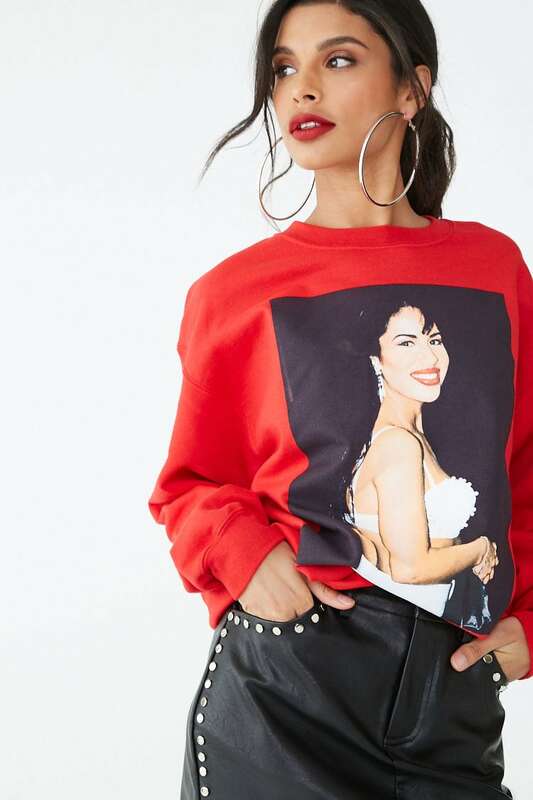 A red sweatshirt featuring a picture of Selena makes a stylish statement. Rock this t-shirt with jeans or a cute miniskirt. Keep it casual in these decorated jogger pants.